We’ve managed to prise the lid off a tub marked ‘8.4’ we found in Wargaming’s larder and spoon out the chilled scoops contained within. 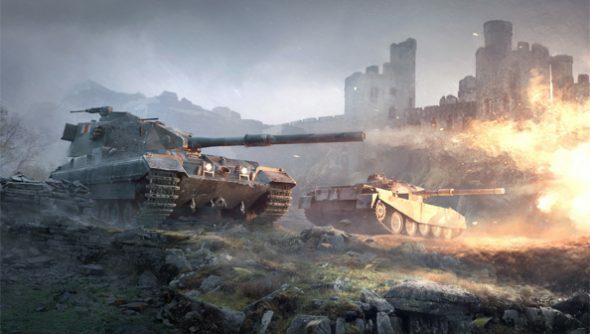 There are new tank destroyers in both British and Soviet flavours, light tanks that taste unmistakably German, and visual and rendering overhauls for four of World of Tanks’ maps. I can’t think of a good dessert metaphor for the latter. Sorry. The ten British tank hunters new in the 8.4 update include the Universal Carrier QF 2, reportedly the most widely produced armoured fighting vehicle in history, and the А39 Tortoise, a super heavy assault gun carrier for the pounding of enemy fortifications and heavy tanks. The Soviet tech tree will benefit from a similarly mammoth SU-100Y tank destroyer, as well as the introduction of three new light tanks. As for the maps, it’s Steppes, Fisherman’s Bay, Ensk and Live Oaks that’ll be spruced up for the new year. And! There’s a brand new tutorial for tank controls, shooting mechanics, and basic combat tactics. Maybe now is the time to bring a friend into the fight?